What was the Summit about? WREN held its second annual statewide Summit on April 9-10 in downtown Columbia at the Columbia Metropolitan Convention Center and the USC Alumni Center, to coincide with Equal Pay Day, the additional day in the year that the average woman would have had to work to earn what the average man would have earned in only 12 months. The 2018 WREN Summit focused on Women’s Economic Empowerment and included diverse business owners and leaders, professionals of all levels, researchers, students, advocates, and more. Participants also had an opportunity to learn, develop new skills, and network with peers. 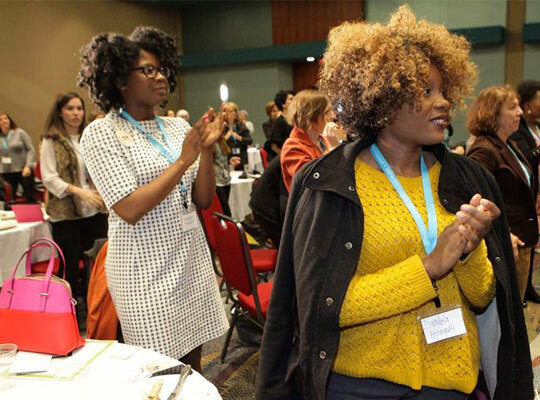 While day one contained panels and workshops that focused on examining the theme of women’s economic empowerment, day two centered on political accountability, and a gubernatorial forum was hosted where candidates spoke on economic issues that face women and families in South Carolina. Now is the time to invest in South Carolina’s women, girls, and families. We need people like you joining the movement, speaking out, and leading the way toward positive change. Get updates on events and legislation you care about delivered to your inbox. WREN seeks to build a movement to advance the health, economic well-being, and rights of South Carolina’s women, girls, and their families. © 2019 WREN. All Rights Reserved.